I had the sweat-wicking kit, the skinny wheels, the drop handlebars, the goofy socks and was working tirelessly on the overconfidence and massive quads. But, still, I didn’t dare call myself a cyclist until I cleared one last hurdle: clipping in. Clipless pedals, as they’re called (a contradictory name that took me months to comprehend), give cyclists the ability to fasten their shoes to their pedals. If this daredevilish act sounds daunting and dangerous, you’re not alone. I worried myself sick over the day I’d have to clip in and out at a traffic light and try desperately not to fall over as the entire intersection pointed and laughed. However, fellow cyclists told me time and time again that I was essentially putting my legs through a torture apparatus by stubbornly sticking to my cage pedals. And, if I was going to attempt a century ride, I would HAVE to clip in. Though I wondered if they were just embarrassed cruising around with a grown man in converse and cage pedals, cyclist far more experienced than me were adamant that clipless pedals would improve my efficiency and security on the bike. I didn’t fully register the benefits of clipless pedals until I took the plunge and finally clipped in. But, it only took me a few quick pedal strokes to realize how much more efficient my riding would immediately become. While science has yet to prove that going clipless improves efficiency, I can give you my own anecdotal evidence from a recent 75-mile ride. For context, I have a well-documented problem with cramping and bonking when I hit the 45-mile mark. So, if I were to attempt 55 more miles with my rig the way it’s currently configured, I’d be taking my legs on a literal trip through hell on wheels. There was only one difference between a miserable 60-mile ride and the 75-mile ride I crushed the following week: clipless pedals. On my last ride, however, while duplicating my standard nutrition plan, I never once felt like my legs were nearing a breaking point. Nor did I feel my usual exhaustion that accompanies a long ride. While you can chalk this up to improved fitness, such night and day differences don’t occur within a single week. Yes, there was only one difference between a miserable 60-mile ride and the 75-mile ride I crushed the following week: clipless pedals. If a rider is attached to his or her pedals, one would assume this makes the pedaling motion far more efficient, as you’re not just pushing the pedal down with your feet but pulling up, as well. 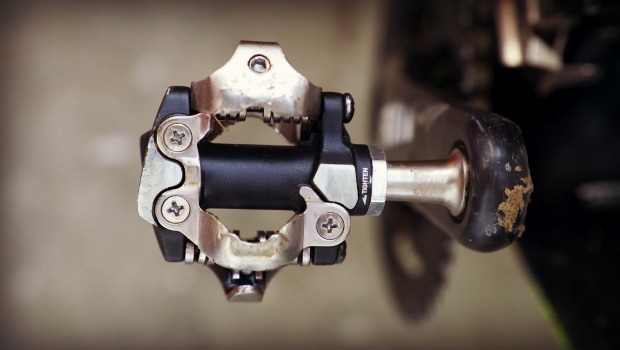 This attachment also promotes a steadier cadence, as your foot now has a more known relationship with the pedal, giving your legs a consistent pedal stroke. While loose-lipped cats on Saturday shop rides throw around the fact that I’ll be 20 to 30 percent more efficient, others told me that such figures are an exaggeration. Well, I’m not exaggerating when I say the 75 miles I recently tackled felt like 50 miles on my old rig. Now that’s efficiency. Ready to ride? Search for a cycling event.